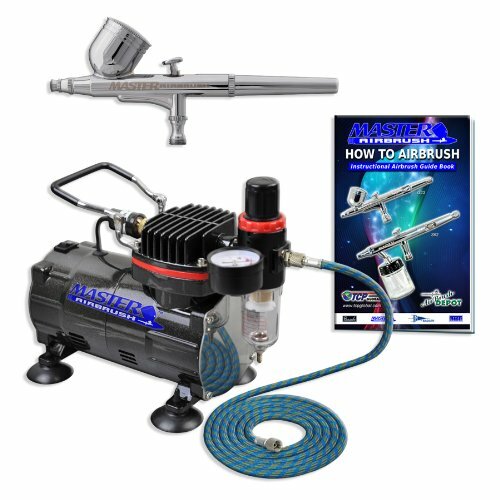 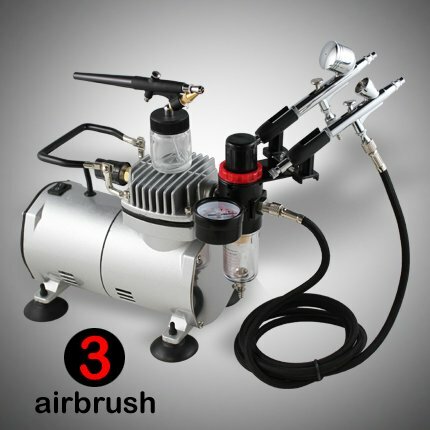 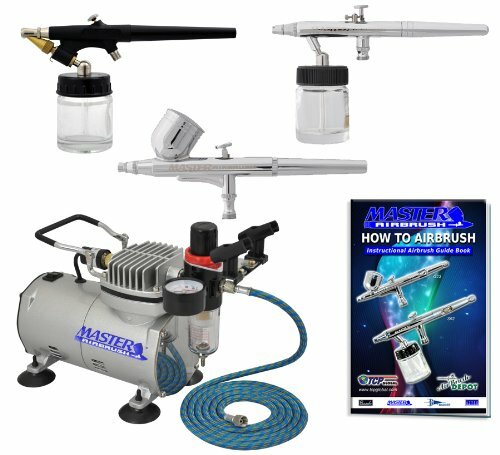 Master Airbrush Brand Multi-purpose Professional Airbrushing System with 3 Airbrushes, G22 Gravity Feed, S68 Siphon Feed & E91 All Purpose Airbrushes, Airbrush Compressor, 6′ Air Hose & Airbrush Holder All with Our 1 Year Warranty and Now Includes a (FREE) How to Airbrush Training Book to Get You Started. 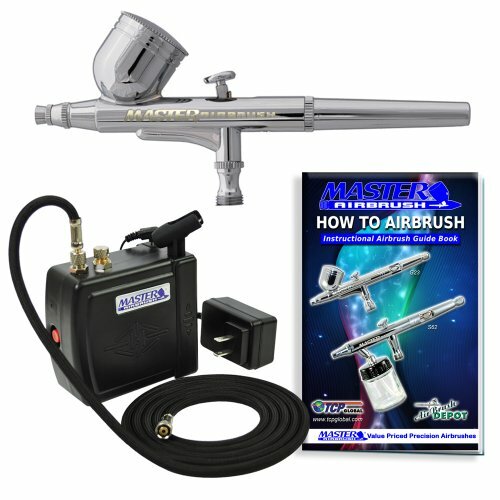 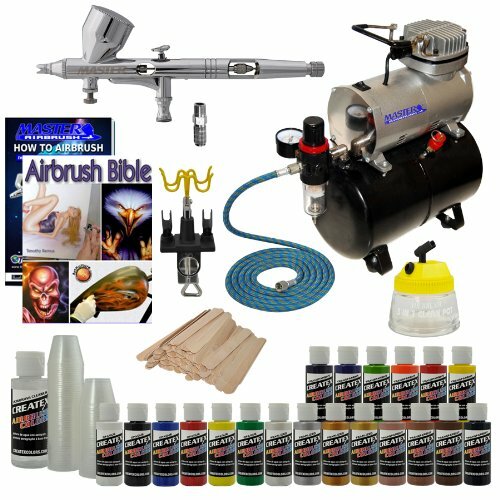 Master Airbrush Complete System with Paint. 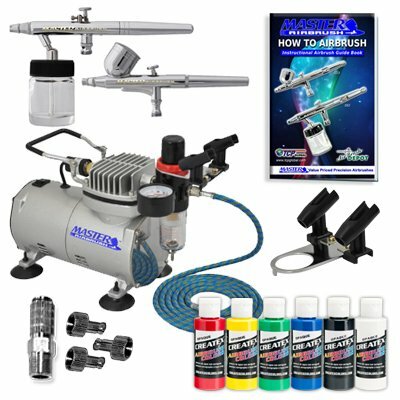 2 Airbrushes, Air Compressor, 6′ Air Hose, Airbrush Holder, 2 Quick Couplers, 2-oz Bottles of Createx Premium Artist Paint in Black, Red, Blue, Yellow, Green & White. 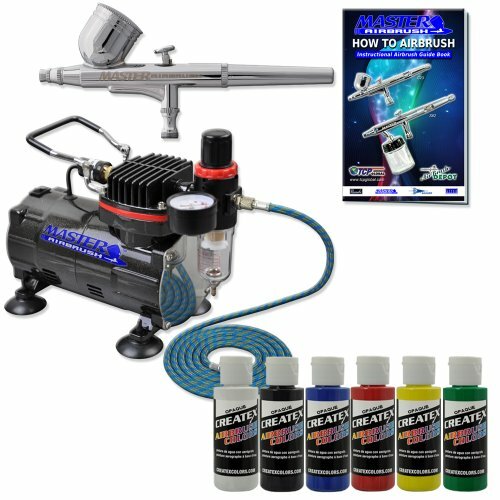 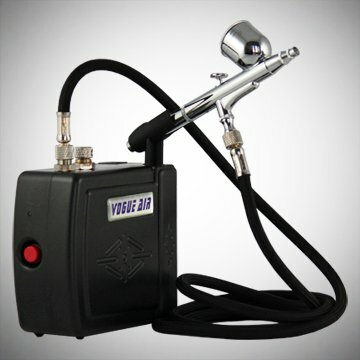 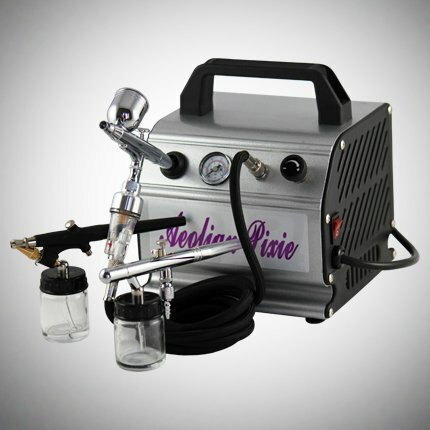 Now Includes a (FREE) How to Airbrush Training Book to Get You Started.